We, the Crystalline Kingdom wish to share with you our Temple of Creation that exists within the Crystalline Dimensions. It is our purpose to invite you to visit and experience our Temple of Creation on the inner planes to enhance your energy vibration, strengthen your realisation of the energy of creation and develop your ability to co-create with the energy of creation in order to bring remembrance of the Creator to yourself and other. Every part of your being is formed by the creation energy of the Creator; this means that within every cell of your being you hold the energy of creation. The energy of creation is your original essence. When you connect with the energy of creation you are remembering your uniqueness, origins and your true self; the energy and intentions that support your manifestation. This understanding releases all earthly illusions bringing forth clarity and awakening. The energy of creation is the essence of your birth as a spiritual being into the inner planes and as a physical being on the Earth. It is sustenance to your entire being for your eternal existence, as well as a fuel that assists you in manifesting the Creator in harmony with the Universe of the Creator. When you receive you are accessing the energy of creation, when you seek within your being you are exploring the energy of creation and when you give you are expressing and experiencing the energy of creation. Every part of your existence involves the energy of creation; the core of the Creator. Within the Crystalline Kingdom on the inner planes, we have a temple dedicated to the Crystalline Consciousness expression and vibration of creation. Each aspect of the Creator, such as yourself, expresses the same energy of creation in a unique way carried forth by a different vibration and frequency of light. Thus, the Universe of the Creator becomes a whole and complete expression of the Creator and the energy of creation, akin to a completed jigsaw puzzle. The Crystalline Consciousness creation is of a high frequency; it holds power, the balance between the inner planes and the earthly reality as well as clarity when observing the Creator. Its purpose is to create high vibrational consciousness and understanding, and the beauty of the Creator. When working with the Crystalline Consciousness energy of creation, all creations magnify the presence of the Creator within your being and all as well as bringing forth a vibration of purification. This is why working with the Crystalline Consciousness creation is such a magnificent experience because as you co-create that which you wish to manifest you also purify your being, create the beauty of the Creator and magnify the sacred vibration of the Creator within yourself and all. The Temple of Creation within the Crystalline Dimensions is a vast expansive space of many chambers which interweave around a central chamber. We name this central chamber the Core of Creation Chamber; it is in this chamber that all beings can interact with the energy of creation, experiencing, downloading, embodying and expressing the energy. The numerous chambers surrounding the central chamber are all used for experimenting with the energy of creation. Beings learn and experience how to co-create with the energy of creation in numerous way, observing the energetic manifestations they create and abilities they activate. Each chamber will guide you to explore new and exciting ways of co-creating with the energy of creation. There are masters and light beings who work within the numerous chambers, their purpose is to welcome you and explain how to use the chamber and its purpose of assistance. The Temple of Creation is a safe space to truly bring forth understanding concerning your energies and abilities of creation within your being. Simply repeat the above invocation, then close your eyes and begin to follow your breathing, enter into a deeper state of relaxation and peace. Allow the Crystalline Consciousness to surround you and our light to move through your being. As light builds around you, you will be transported to the Core of Creation Chamber. There will be a being present to greet you and lead you to a seating area. The being will make you aware of the Crystalline energy of creation and align you in a simple way to this energy. A downpour of light will flow into your being and awareness. Sit with and observe the energy as it moves through your being and connects with your soul. Then turn your energy deeper into your being to connect with the Crystalline Consciousness creation energy as it activates and forms within your being. You may wish to visit the Core of Creation Chamber many times so that you can truly recognise the presence of the energy within you. When you feel it is appropriate, you can begin to explore the numerous other chambers within the Temple of Creation. After experiencing the Core of Creation Chamber, you can begin to explore the experimental chambers that offer you an experience of co-creating with the crystalline energy of creation. It is important that your intention of that which you wish to manifest is pure and true to the guidance of your soul. Ensure that all you focus upon you are happy to receive and recognise in your physical reality. You will be transported into the most appropriate chamber for you. There are hundreds of chambers within the Temple of Creation. When you enter a new chamber it is advisable to ask to understand the name or purpose of the chamber, this way you can return to the chamber whenever you wish to. Each chamber will have a different purpose, feeling and experience although they are all supporting you in experiencing the energy of creation. They support you in co-creating with the energy to manifest your intention or focus and recognising the power and presence of the creation within you. Even if you are unable to access any wisdom, insights or guidance from the chambers, please know that you will always receive the energy, activations and transformation you require. You may ask to visit and work within either the Core of Creation Chamber or one of the other chambers within the Temple of Creation during your sleep state. When making this request, it is important to first state whether you wish to visit the Core of Creation Chamber or another. Then state your purpose of your visit, what do you wish to understand or create for yourself, humanity or the Earth while in existence in the Temple of Creation. Know that once your request has been made, you can simply relax and enter into your sleep state as normal. 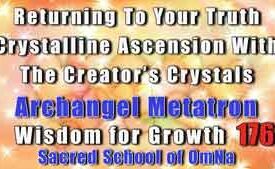 There is a great wealth of abundance, knowledge and alignments within the Crystalline Kingdom for you to explore and to aid your ascension. Please simply call upon us, speak with us and we will align you to the appropriate vibrations. A beautiful awakening within humanity is beginning now. The climax of this awakening will be at the beginning of 2018 continuing almost throughout the entire year. 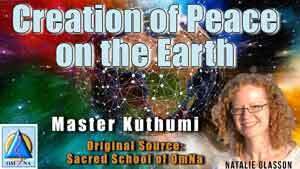 I, Master Kuthumi, wish to bring forth an understanding of this major shift occurring within your being and many upon the Earth, which will instigate an activation on the inner planes. It is truly a time to cast aside illusions and limiting beliefs, expanding both your mind and heart to accept truth, support and love from the inner planes. The fact that you have already let go of many limiting thoughts is why I am sharing this information with you now. There will be a need to continue to set yourself free from thoughts and belief patterns which cause the inner planes or heavens to be invisible to you. This special awakening is only occurring in those who are ready and willing to be of service to all, expand their minds beyond their current reality and anchor energies into the Earth. You and many upon the Earth have been chosen, because of your level of spiritual evolution and compassion for Mother Earth and humanity, to experience an inner activation. This inner activation is aligned with the energies of oneness, connection, communication and truth, these qualities will be further activated and magnified within you. The activation will be aligned with a purpose of reforming a friendship of trust, peace and love between humanity and Star Beings on the inner planes who are in service to the Earth. Throughout 2016 and 2017 Venus Beings has been anchoring love into the Earth so that the Earth could equal the love vibration of Venus, and eventually take on the role of Venus as the Planet of Love. By sharing unconditional love with the Earth and her humanity, Venus has also been reawakening the minds of many to the loving and positive presence and influence of the Star Beings. When I speak of Star Beings, I include the Venus Beings, Andromedans, Arcturians, Beings of Sirius, Pleiadians and the Celestial White Beings. All are wise, devoted to the Earth and her humanity as well as wish to aid soul’s in their quest for ascension, happiness and fulfilment. Everything that the Star Beings share with humanity is from a space of selfless, pure love. The Star Beings do not wish to gain anything from the Earth and her humanity, only to observe humanity in emerging into the beauty of the Creator which is within them. How will the Inner Activation Assist? The activation of reforming friendship between souls such as yourself and the Star Beings will allow humanity to enter into a greater state of acceptance of the Star Beings, where communication channels can be opened once more. This will mean that many people such as yourself will feel, sense and acknowledge the loving presence and support of the Star Beings. You will find it easier to communicate with them personally and will be able to co-create with these beautiful beings of light to support further ascension shifts for yourself and the Earth. Many of you are Star Beings or have worked closely with Star Beings in other lifetimes or on other planets. The connection and communication of your soul with all aspects of the Creator even Star Beings is natural. It has always been a natural ability for all. However, the communication of humanity with Star Beings has been discouraged, with many rumours circulated about the cruelty of Star Beings. Humanity has been taught to fear Star Beings which has closed down their channels of communication with Star Beings. In 2018 the Star Beings on the inner planes and souls upon the Earth who wish to be of service will work both consciously and unconsciously to heal the consciousness of humanity. Through this healing process humanity’s abilities to communicate not only with Star Beings but other light beings or aspects of the Creator will be reawakened. This will be evident especially in souls such as yourself who already have respect for themselves as a divine presence on the Earth and an understanding of the Star Beings. 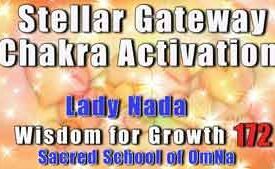 What is the Inner Activation? With humanity awakening to the energy of the Star Beings and channels of communication being reawaken, Star Beings will be able to send valuable light rays and wisdom into your being, the consciousness of humanity and the Earth to accelerate ascension and fully manifest the Era of Love. While you may not notice a greater respect or acceptance of Star Beings in the consciousness of humanity or those in your reality, you will notice in general a greater openness of mind, ability to observe rather than judge, to see beyond illusions and to let go of aspects of fear that limit true perception. This change will be an inner activation which you will notice in yourself and others. It may take some time to adjust to because it will be a new opening of energy channels within your being which has been closed for some time. Your entire system will begin to work differently. Mostly you will notice that the way you interact and communicate with the world around you and within you will change. You will be connecting and communicating with more of a whole body/ being experience. This means that you will not only be connecting and communicating mentally but with a greater energy flow throughout your being, you will be communicating from a wholeness or completeness within you. New perceptions, ideas and understandings will dawn as well as new abilities connected to communication and intuition. The purpose of this is not to create more peace in the world of the Earth, instead more peace within each being. Thus people will be able to communicate with each other from a greater space of peace. Not only will this support humanity’s communication with each other, it will also aid communication with other aspects of the Creator within and around them. Preparations for the inner activation are beginning now, while the activation will take place at the beginning of 2018. Those who have been chosen to be of service will experience the activation first, then the consciousness of humanity and then humanity. The activation will be akin to a deep purification where the light will be channeled into your being with the purpose of opening up energy networks and channels of communication within your body and being. A deep clearing and cleansing will take place removing old negative programming and fear planted into your system, especially connected to Star Beings. You may experience a deep expansion within your being, even on all levels of your being. Then you will experience a further surge of light which will be wisdom, healing and awakening codes from the Star Beings as they introduce themselves to you and reform their loving friendship with you. This may take place gradually over many days or even months. As your friendship with the Star Beings evolves, they will begin to share with you energies and wisdom to be anchored by you into the Earth. All energies and wisdom you receive will be to aid and support the love of the Creator awakening within each being as well as developing communication on the Earth, not through technology, instead from the heart to the heart. It is important to realise that the way in which you communicate with the Star Beings may not be as you expect, new energy systems within your being are awakening, and so new abilities of communication may develop. You may communicate with a body, combined energy or consciousness of the Star Beings or you may discover that a certain civilisation is eager to co-create with you. The renewal of friendship between humanity and the Star Beings is, in fact, an awakening of co-creation which is needed to empower the Creator within all and instigate necessary changes in the world. I, Master Kuthumi, wish to share with you an invocation to be used to express your permission and openness to co-create with the Star Beings. What you are dealing with in your reality right now is essential for your spiritual evolution and the transformation of the Earth. I, Archangel Michael, invite you to take a moment and breathe deeply, numerous messages are coming to you from the Universe of the Creator and from within your being. Everything is the Creator, and everything is speaking to you. The key is to take the time to listen and to allow your intuition and inner navigation to accentuate the message that is most important for you to acknowledge, accept, embody and act upon now. The message that is aligned to your soul and its quest upon the Earth will come forth to you with greater power and presence than any other message. The universe is speaking to you, every message is important, acting as golden opportunities of manifestation, experience and life. There are so many beautiful pathways of experience for you to embark upon on the Earth and many will bring you fulfilment, happiness and a deeper connection with the Creator. There is no wrong pathway; there is only creativity, exploration and understanding. The more you know yourself as a spiritual light being existing and exploring the Earth, the more you will receive the messages from within and the Universe of the Creator that are most fulfilling and aligned with your truth. It is time to let go of the perceptions of your mind and even your emotions, instead focus into your heart and let yourself feel, sense or acknowledge your energy, who you are and all that you are. Remember that the Creator in truth cannot be labelled or even described verbally or within your mind. You are the Creator which means that you cannot be described or even labelled, to do so limits you in understanding your expansive nature and essence. Instead feel who you are, observe the energies that create the you that you know yourself to be now. You may experience some beautiful loving energies; there could be energies of resistance, awkwardness and pain. Simply sit with who you are as energy, recognise and observe your energy until it feels familiar. With acceptance of the energy that composes who you are, your thoughts and emotions, your energies will transform which will bring a purification to your mind and emotions. When you know and simply sit with your energy more frequently, you will open yourself to receiving messages from your essence, your body, in truth all that you are. Not only will this create a strong feeling of inner guidance, it will also mean that negative thought or emotional patterns will not manifest as frequently. You received the intuitive message from your energy before it began to move into your thoughts, emotions, body and chakras manifesting as limitations and restrictions within your being and reality. If every part of your being is balanced, aligned with and experiencing the divine flow of the Creator then the messages you will receive will magnify and enhance your state of existence. Messages such as you are loved, you are worthy, anything is possible, and your power is working to manifest your dreams, will fill your body, being and reality. Your conversation with the Creator in the world around and within you will be blissfully nurturing and nourishing. You are always in constant conversation with the Creator; the Creator exists within everything, so your conservations are with everything within and around you. If a part of your being becomes unbalanced, maybe a negative thought is given energy or a reaction to an experience is unexpected and causes some chaos within your being, then it will be easy to pinpoint the energy causing the imbalance asking to discover the message it wishes you to receive and embody. Simply because the experience is negative doesn’t mean the message will be negative, each message is a conversation with the Creator. You began the conversation, and the Creator is replying to you. A message can be a feeling, realisation, word or in truth can be expressed in any creative way. It offers you a unique and beautiful pathway to realise your natural harmony and oneness with the Creator and all that is the Creator. Such messages could be to let go of fear, engage with love, gift yourself freedom, access your power, recognise your beauty or a feeling such as peace, freedom, happiness and so forth may arise. You are being guided at all times and are in constant conversation with the Creator when you are centred and balanced it is easy to recognise this and recentre yourself whenever you need to. There is no need for you to try to be perfect, simply to become familiar with who you are as an energetic being. When you lose focus of your centre and your awareness of yourself as a divine being of light existing on the Earth to experience all aspects of the Earth, you may begin to ignore the messages and conversations with the Creator that your being is naturally experiencing at all times whether you are asleep or awake. As you ignore the messages so they build, while some are positive and continue to magnify your essence and truth, others may regard imbalances within your being and could manifest as pain in your body or challenging circumstances in your reality. Still, they build until it is too chaotic to even know where to begin, which message to address first and even discovering the messages can be a struggle because of inner confusion and unaddressed energies. Many souls upon the Earth are currently experiencing this without even being aware of it. The chaos within is all the unreceived messages and conversations with the Creator which have been ignored and are climaxing and manifesting to get your attention. Take a moment and breathe deeply to quieten your mind and emotions, focusing within. When you are ready simply acknowledge that numerous messages are coming to you from the Universe of the Creator and from within your being, each message is to support you in remaining focused upon your centre; the truth of the Creator within you. Acknowledge that your natural ability is to be in conversation with the Creator and to receive inner This is not a mystical power or even experience. Essentially it is you in conversation with yourself. However, you are the Creator as is everything within and around you. Focus within and imagine, sense or acknowledge yourself as energy. Observe yourself as energy until it becomes familiar. You may recognise colours, memories, feelings or sensations. Observe and use your intuition to allow understanding to dawn. If an energy feels negative or uneasy to you, sit with it until it reveals its truth, its message or the understanding that is required for you to acknowledge. It may simply dissipate because the message is realised on a higher level of your being or you may receive the necessary insights to create transformation within your being and reality. At some point, you may feel guided to anchor certain energies from the Creator. You know exactly what is necessary and needed, it is important to trust yourself and go with the flow of that which is being drawn to your attention. If you are unable to transform the energy, then return to the same energy another time as there may be several layers of the energy. Rest or continue observing yourself as energy and acknowledge anything that comes to your awareness. It is important to note that you will recognise deeply loving energies, emotions and messages as well as resolving unbalanced or light lacking energies. This only needs to take a few minutes; it is important to acknowledge that you can transform your energies yourself and very quickly, without lengthy meditations. The more familiar you become with the practice, the easier you will find it to instantly acknowledge the messages without even following the steps I have provided or entering into meditation. In truth, you are coming back to yourself, your true awareness and your natural conversation with the Creator, which in itself is immensely healing. What does Divine Innocence mean to me? How does it manifest within my being energetically? What is the purpose of Divine Innocence? If I acknowledged Divine Innocence within my being and express it fully, how would it manifest in my physical being and reality? How can I acknowledge, appreciate and connect with the Divine Innocence within all beings? We, the Celestial Dolphin Consciousness wish to encourage you to explore the Divine Innocence energy within your being and others because in doing so you will awaken the presence of the Creator, your inner power and experience a greater expansion throughout your entire being. We, represent the Divine Innocence of the Creator to you now in this moment. As you connect with our energies, you are viewing your own inner Divine Innocence. We, the Celestial Dolphins will merge our energy as one with you. You may feel your energy and vibration ascending, becoming quicker and your being feeling lighter as we work with you. Divine Innocence is often recognised as a purity that is beyond description. A purity that feels sacred, holy and special, as well as joyful, blissful and enlightening. Divine Innocence emanates truth, a truth that seems beyond understanding and yet can be fully understood through feelings and emotions. It is an energy that touches you or another so deeply that it creates a stir which allows blockages and distractions to be released, permitting you to be in the present fully with all that is the Creator, a blissful experience. Humanity often sees innocence as a weakness. If you are innocent you may be perceived as lacking in knowledge, powerless, that you need to be taken care of, require guidance or have yet to experience life. This understanding of innocence does not describe Divine Innocence, for Divine Innocence is the complete opposite. When you are connected to your Divine Innocence you are in harmony with your essence, you are in your power, with an understanding of all that is the Creator. In which parts of your life are you neglecting to activate and awaken your Divine Innocence? In which parts of your life are you seeing the world as if through the eyes and heart of the Creator? It is time to understand and experience what it is like for you to live fully connected to, supported and guided by your inner Divine Innocence. Why is Divine Innocence Important Now for Humanity and Ascension? When you are connected to, aware of and naturally emanating Divine Innocence, you are existing in the present moment with yourself, the Divine Plan and All That Is the Creator. This is the key factor of Divine Innocence. It means that you are limitless, constantly healing and rejuvenating your entire being, reacting from a space of peace and love within you as well as constantly in a space of being able to communicate with the Creator. You are in ACCEPTANCE of yourself, the Divine Plan and the Creator. Making it easier for you to maintain a centred connection with the Creator, returning to this connection when it seems like you drift away. This means that you release your fear of losing connection with the Creator and being unable to rediscover the Creator within you. If more and more souls upon the Earth activate, emanate and explore their Divine Innocence, then this would mean that there are more people on the Earth who are willing to see the truth, the larger picture of all that happens on the Earth. There will be many more people willing to let go of fear and release the loving power within them, thus encouraging others to tune into their Divine Innocence rather than creating more fear, judgements and pain. As those who are ready and willing to connect with their Divine Innocence do so, they will become energy imprints allowing many people all over the world to align with, rediscover and emanate their inner Divine Innocence. Thus, everyone will begin to see and acknowledge the world and themselves in a new way that is beyond limitations and illusions. Imagine a world where you can instantly see through negative programming and messages from other. Fears, separation and inner wounds that others and you hold on to or try to influence you or your reality with. Instead a truth, inner knowingness and contentment would manifest allowing all communications, creations and manifestations to be perceived from a state of higher awareness, compassion, truth and understanding. The greatest experience will be that humanity as individuals and as a whole will be able to take back their power, existing in harmony with themselves and others. The consciousness of humanity which is akin to a well of energy that all of humanity draw upon would also shift and transform creating beautiful states of peace, forgiveness, healing and contentment for all. With the perceptions of humanity shifting and healing taking place within all, the reality of the Earth would transform as well as the way in which humanity choose to exist. This is already occurring on the Earth now; many are clearing old wounds for themselves and on behalf of others. As old wounds are released, so the heart chakra expands naturally. The heart chakra of Mother Earth is also expanding now allowing more love to flow throughout the Earth and humanity. Each of you are becoming magnificent delivers of sacred love as it flows through your entire being. When the heart chakra can open more because it has released burdens, so Divine Innocence naturally can come forth to divinely inspire, heal and awaken.